Do We Need to Redefine the Human Subject? Throughout this piece I will look as to whether it is time for us to creatively re- evaluate what it is to be human, the concept of the posthuman and the notion of posthumanism. I shall enquire into the ways that modern science and technological advancements are beginning to dissolve the common barriers that separate and define what it is to be an autonomous human subject along with our processes, interactions and systems within the wider world. Technologies that empower our knowledge of the world such as biotechnology and quantum physics open up new regions for us to explore, new creative approaches to take and political and ethical questions to ask. The notion of the human shall be called into question, how we define what it means to be an autonomous subject and the future of what it means to be human and to be ‘posthuman’ and the inevitable rethinking and restructuring of the idea of humanism, known as posthumanism that comes with this, though the term posthumanism can have different connotations dependent upon the authors, such as those of Cary Wolfe or Katherine Hayles. Firstly I shall aim to enquire as to the idea of humanism, the idea stemming from the Enlightenment movement and where this places the human. I aim to then understand the technologies that we are capable of now wielding, from biotechnology to the notion of the processing power Singularity and how these affect our social and political systems and the implications they have on the individual as a subject. These technologies lead humanism, and the human, down the path of transhumanism and through technological and scientific understanding of the human how we can progress to the idea and concept of the posthuman. From here I would like to grasp some historical context for the posthuman which leads to the idea of posthumanism, and the idea and concept of posthumanism. This in no means is a definition of posthumanism for it may always ask questions that remain unanswered. My guiding principle was always to preserve difference, to leave the subject of posthumanism open both to question and to what is to come. The face and future of posthumanism are, as N. Katherine Hayles recognises, uncertain. The prefix does not pre-fix. What matters, rather, is that thought keeps moving in the name of a beyond, in the shadow of the unknown, in the fault-lines of the ‘post-‘. We can find the roots of humanism from the Enlightenment cultural movement from the philosophical theories of the 17th and 18th Centuries. Essays such as Immanuel Kant’s – What Is Enlightenment? from 1784 say, “Enlightenment is man’s emergence from his self-imposed nonage” (Kant, 1784). This form of thinking gives a view that before this Enlightenment movement, man was subjected to the ‘Real’ authority – the metaphysical authority of religion – in which the “self-imposed nonage” comes from the inability to use our own intellect without guidance – that guidance coming from the divine before Enlightenment and now in the present with modern political sciences and modern scientific theory leading our anthropocentric society. Humanism can be said to see value in the “preciousness and dignity of the individual person” (Kurtz & Wilson, 1973) as well as responsibility for “what we are or will be” (Kurtz & Wilson, 1973). Furthering from this, Ihab Hassan, a literary theorist stated “Humanism may be coming to an end as humanism transforms itself into something one must helplessly call posthumanism.” (1977, p.843) In The Posthuman Condition by Bill McKibben he states “The past five hundred years have elevated us to the status of individuals, and reduced us to the status of individuals. At the end of the process, that’s what we are – empowered, enabled, isolated, disconnected individuals.” (2007, p.16) He sees the posthuman movement as both empowering for the individual but as a cautionary path that leads to disconnection from each other, mostly stemming from the disconnection from the spiritual and metaphysical as well as man’s dominance over nature that inevitably leads to a world in which we have lost the context. While McKibben deals with the posthuman, posthumanism can be seen as not a specific time in history, for as R. L. Rutsky states as a critical point of Katherine Hayle’s posthuman theory, “The posthuman cannot simple be identified as a culture or age that comes ‘after’ the human, for the very idea of such as passage, however measured or qualified it may be, continues to rely upon a humanist narrative for historical change.” (2007, p.107) McKibben gives a literal, critical view of what the posthuman may experience and feel from society. There must be differentiation between posthumanism and the posthuman. The posthuman is seen as an agent and closely links from our current human, as said by Hayles “The posthuman view configures human being so that it can be seamlessly articulated with intelligent machines. In the posthuman, there are no essential differences or absolute demarcations between bodily existence and computer simulation.” (1999, p.3) This view encompasses a strand of posthuman thought, which is viewed as the idea of transhumanism. “Blood has no nationality.” – Vincent, Gattaca, 1997. The power of genetic engineering can be seen within the arts from the fluorescent rabbit named Alba by Eduardo Kac which quickly became an international news story, to the SymbioticA exhibit ‘If Pigs Could Fly’ in which Oron Catts and Ionat Zurr from Perth created wings from pig tissue, a piece that both showed the possibilities that come from such a technology but also the restrictions as people came to the exhibit expecting to see pigs fly, but instead saw pig tissue grown into miniscule sculptures. (Kac, 2007). Modern bioethics focuses too much on the determination of labelling someone as a ‘person’ for as Carl Elliot puts it in A Philosophical Disease: Bioethics, Culture and Identity, “If we decide that this marginal being is a person [..] then a conclusion about how we should morally treat that marginal being will logically follow.” (1999, p. 159) Paola Cavalieri, a philosopher, writes on the subject of defining the human and nonhuman and the “argument from marginal cases”. Biotechnology has reduced our bodies down to it’s most simple form, the complex systems that make up man have becomes tools we can use to create, destroy and ultimately control the evolution of man. “Unhampered by the complex systems which make up man, they made and used different bodies according to their needs.” – Narrator, War Of The Worlds, 1978. The ‘cyborg’, a being made up of both organic and cybernetic parts, was a phrase used by Manfred Clynes and Nathan Kline in an essay titled Cyborgs and space which looked at how man could alter themselves to meet the requirements of extra- terrestrial environments. (1960). Haraways cyborg requires cybernetic parts for the “cyborg is a cybernetic organism, a hybrid of machine and organism, a creature of social reality as well as a creature of fiction.” (1991, p. 69) Norbert Wiener can be said to be the father of cybernetics and who defined it as “the scientific study of control and communication in the animal and the machine.” (1961) During WWII this feedback loop system was used to enhance the capabilities of gun mounts and radar antennas. This idea of a feedback loop, as Katherine Hayles uses in How We Became Posthuman, “implies that the boundaries of the autonomous subject are up for grabs, since feedback loops can flow not only within the subject but also between the subject and the environment.” (1999, p. 2) Katherine Hayles references Gregory Bateson who simply asks if a blind’s man cane is part of the man. This dissolution of boundaries allows for the ‘man-machine’ that Haraway envisions in her cyborg. (1999, p. 84). The Macy conferences were an interdisciplinary set of conferences held post-World War II in which researchers from across the board, from philosophy to electrical engineering. The conferences led to developments in systems theory as well as cybernetics. Hayles describes first-wave cybernetics as “the idea that the boundaries of the human subject are constructed rather than given.” (1999, p. 84) And in speaking of Haraway’s cyborg goes on to say “the cyborg violates the human/machine distinction; replacing cognition with neural feedback, it challenges the human-animal difference” (1999, p. 84) Rethinking the body as an informational system, cybernetics would “dissolve traditional disciplinary boundaries”. (Hayles, 1999, p. 85). In regards to liberal humanism, autopoiesis theory secures the very principal of autonomy and individuality, for the concept behind it enforces the autonomy of the system. (Hayles, 1999) Norbert Weiner held humanistic values and foresaw that the “cybernetic machine was to be designed so that it did not threaten the autonomous, self-regulating subject of liberal humanism.” (Hayles, 1999, p. 87) Weiner gave a warning in 1954 in which he argued “that electronic computer were thinking machines capable of taking over many human decision-making processes, and cautioned that humans must not let machines become their masters.” (Hayles, 1999, p. 85). Information not only has the capacity to flow between the animal and the machine but also the environment surrounding the machine, and “when information loses its body, equating humans to computers is especially easy.” (Hayles, 1999, p. 2). This is where the problem arises of degrading the autonomy of the liberal humanist subject with which Weiner struggled where-as the autopoietic theory conceptualised by Maturana strengthens the autonomy of the subject. The cyborg was not meant to threaten the liberal subject, for as Hayles puts it, “On the contrary, it was to extend that self into the realm of the machine.” (1999, p. 86) C.B Macpherson speaks of the humanist subject as “The human essence is freedom from the wills of others, and freedom is a function of possession.” (1962, p. 3) Which then leads onto the question of “Should a cybernetic machine, sufficiently powerful in it’s self-regulating processes to become fully conscious and rational, be allowed to own itself?” (1999, p. 86). Cybernetics both empowers the individual humanist self as autonomous autopoietic systems as well as poses dangers of losing the autonomy because of the degrading barriers of informational flow. 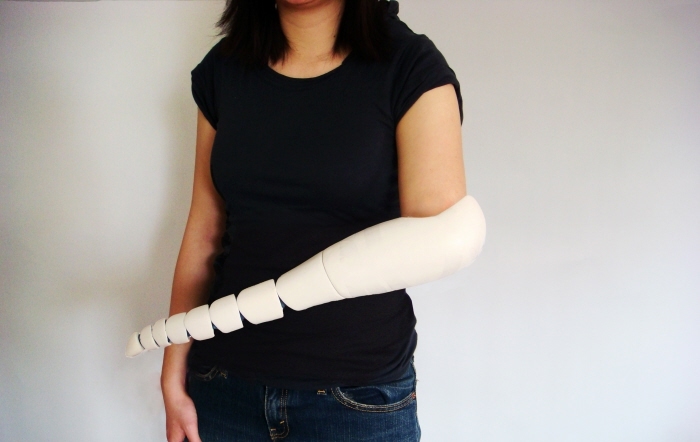 Would a self-possesing cyborg be the posthuman? “We’re going to build a whole new world for ourselves..” – Artilleryman, War of the Worlds, 1978. Cybernetic machines rely upon their cybernetic, inorganic parts for their processing of information. Gordon Moore, co-founder of Intel Corporation, authored ‘Moore’s Law’ in which he claimed we “could squeeze twice as many transistors onto an integrated circuit every twenty-four months.” (Kurzweil, 2005, p. 57) This decreasing size and reduction in semi-conductors then leads to an increase of processing power. In his book, The Singularity Is Near, Kurzweil discusses the idea that “Some observers refer to the post-Singularity period as “posthuman” and refer to the anticipation of this period as posthumanism.” (2005, p. 273) However, when Kurzweil speaks of “transcending biology” he comes at it from a distinctly transhuman route, the very fact that his entire “Law of Accelerating Returns” is based upon technological uptake and speeds defines his predictions of the singularity as a transhuman ideology, and thought it is clear to see that there is no human left within Kurzweil’s, somewhat Nostradamus-esque, predictions. “Some of the worst things imaginable have been done with the best intentions.” Dr Grant, Jurassic Park III. Throughout How We Became Posthuman Hayles strongly holds onto the idea of embodiment, with the human being “first of all embodied being, and the complexities of this embodiment mean that human awareness unfolds in ways very different from those of intelligence embodied in cybernetic machines.” (1999, p. 284) Hayles version of the posthuman is one which pushes our conscious embodiment and enhances it through “the distributed cognitive system as a whole, in which “thinking” is done by both human and nonhuman actors.” (1999, p. 288) Thus Hayles uses Edwin Hutchins’s, a cognitive scientist, writings of a model to show that the posthuman allows for human functionality to expand and writes “In this model, it is not a question of leaving the body behind, but rather extending embodied awareness in highly specific, local, and material ways that would be impossible without electronic prosthesis.” (1999, p. 291) Where Hayles senses the fear is in the loss of the autonomous self through the subject thinking independently of the environment that it is within, and not the distributed system that humans are within, thus if a boundary that keeps the subject autonomous is breached “there will be nothing left to stop the self’s complete dissolution.” (1999, p. 290) This is the contrast of the idea that the autonomous self will be empowered by the distributed system that the subject is within, Hayle’s notes “when the human is seen as part of a distributed system, the full expression of human capability can be seen to depend on the splice rather than being imperiled by it.” (1999, p. 290). There have been many past attempts at looking at what will come after the ‘human’, one of them being Friedrich Nietzsche’s concept of ‘Übermensch’, translated into ‘beyond-man’ or ‘superman’. Nietzsche saw the man as something that “is to be surpassed” (1885, p. 22) for as Nietzsche wrote “Man is a rope stretched between the animal and the Superman – a rope over an abyss.” (1885, p. 24) In Thus Spake Zarathustra Nietzsche uses the term “God is dead!” (1885, p. 87) and ties it into the concept of the ‘Übermensch’ following that “The Superman is the meaning of the earth. Let your will say: The Superman shall be the meaning of the earth!” (1883, p. 22) – such a phrase that man themselves gives man reason to value life. Nietzsche writes “Once did people say God, when they looked out upon distant seas; now, however, have I taught you to say, Superman.” (1883, p. 82) Here we can see clear similarities to humanism following on from Enlightenment and the disconnection from the “Real” authority. Past these ideas from Trotsky and Nietzsche, both with the negative connotations linked through from Marxism and Nazism, “futurists who had become suspicious of collectively orchestrated social change found a new home for their hopes in scientific and technological progress.” (Bostrom, 2005). This hope for a better society through science and technology gave root to modern transhumanism, a transhumanism that remains liberal, ethical and aims to improve the human subject and not to imperil the subject. Transhumanism takes humanism and aims to create a better version, a better society and a better human. Humanism emanating from the Enlightenment period comes with a “reductionist view of human life characteristic of that movement’s materialistic empiricism” (Hook, 2003) and therefore the current transhuman figure can be seen as an idea that reduces the human to it’s component pieces, the “genetic reductionism” (Somerville, 2011) that reduces and leads to the devaluation of human life. Classical materialism that has been applied through the transhumanist route to the posthuman must be redefined because as Diana Coole & Samantha Frost state in New Materialisms. Ontology, Agency, and Politics, “new physics and biology make it impossible to understand matter any longer in ways that were inspired by classical science.” (2010, p. 5) They suggest that matter itself has become elusive, going onto to say “the ways we understand and interact with nature are in need of a commensurate updating” (2010, p. 5). This, new renewed, vitalized view of materialism may lead to a new way of understanding posthumanism and the posthuman, for to view the very matter that makes us human in renewed ways allows us to view the human in a different aspect, which opens up an entirely new ontological concept of posthumanism. This sense of understanding the complex, chaotic nature of how particles interact on a subatomic level, while I’m sure there’s still an incredible way to go to understanding it all, dismisses the idea that this matter is a solid foundation. In a previous chapter on cybernetics I spoke of Maturana and Varela’s theory of autopoietic systems with Maturana stating that “No description of an absolute reality is possible” (1980, p. 121) This is due to an interaction with the absolute reality which would then infer cognition, being subjective to the observer. The new materialistic view shows reasons how we can, through the complex science and understanding of, not only the subatomic particles but also through the complex systems that we are all part of, including the chaos within the matter itself. We may not yet understand ‘absolute reality’, but only the reality that classical science has created for us. This leads on to Maturana’s thoughts of the ‘cognitive domain’ and how this new understanding of materiality may conceptualize towards a new understanding of not just ‘material reality’ but also the ‘absolute reality’ that Maturana mentions and the ‘cognitive domain’ that human agency prescribes to the observer. The new, or revitalised materialists do not see matter as, as physicists see mechanical, inorganic, or a biologists organic evolving system – instead giving agency to “emergent, generative powers” with Jane Bennett using “enchanted materialism” to “ascribe agency to inorganic phenomena such as the electricity grid, food and trash, all of which enjoy a certain efficacy that defies human will.” (Coole & Frost, 2010, p. 9). This sense of materialism gives light to a “materiality that materializes, evincing immanent modes of self-transportation” and to “consider anew the location and nature of capacities of agency.” (D. Coole & S. Frost, 2010, p. 9). To conceptualize the human in these terms is not to imperil human survival but is precisely to enhance it, for the more we understand the flexible, adaptive structure that coordinate our environment and the metaphors that we ourselves are, the better we can fashion images of ourselves that accurately reflect the complex interplays that ultimately make the entire world system one. (1999, p. 290). Technology has allowed us to understand the world at the subatomic level, pushing our understanding of science further. New materialists’ conceptualise the notion that a new understanding of the world, and even the very matter that makes it foundation, is required to deal with the crises that society face. Along with this new idea of what is given agency, also comes with it a new sense of what it is to be human, which leads to a new conceptualisation of what posthumanism shall and should be. In light of the advancements that are being made, Foucalt’s ‘biopower’ suddenly becomes ever more important. Diana Coole and Samantha Frost regard the power that the state has on the technology that has the power to control fertility rates, epidemics, food hygiene and a nation’s health as not particularly malign. However the control that a nation’s governmental policy has to affect the lives of subjects at such a macro level, needs to be critically addressed. For example, an ageing population, or a declining population lead to problems that the state must intervene to control, “The sheer materiality and mass of bodies – their numbers, their needs, their fecundity, their productivity, their sustainability and so on – is becoming a key dimension of political analysis and intervention.” (2010, p. 23). Throughout this piece I have tried to look at posthumanism as an expanding area, and note that posthumanism shouldn’t be an end-point and should be seen as the continuation of our society, barriers shall be raised, ethical questions shall be asked, moral attitudes may be changed as technological improvements continue to push us to understand the world more, which in turn shall lead to more questions. Although some current versions of the posthuman point toward the antihuman and the apocalyptic, we can craft others that will be conducive to the long-range survival of human and of the other life-forms, biological and artificial, with whom we share the planet and ourselves. (1999, p. 291). Posthumanism is an expanding subject and its progress has seen an increase as the transhumanist movement has gained momentum and the idea of technology allowing us to surpass ourselves, leading from biotechnological advancements as well as the rapid increase in computational power, sheds lights on the technological future that may be ahead of us. Many different authors use the term differently and each have a different angle on what they see as the posthuman, and what posthumanism means for them. I have tried to look at the technology that may allow us to surpass ourselves along with the implications that come with that technology. Humanism can be said to have detached us from the domain that we are in, science and technology has pushed our knowledge further, and will continue to do so for the foreseeable future. The technological process that we are engineering, from Moore’s Law to the power of human cloning opens up a host of ethical and moral questions about where the technological progress may lead us. Sceptics’ may say it devalues our association with each other and devalues what human life means. Optimists’ would say that the power to cure hereditary diseases, to transplant cloned kidneys to save lives and to be able to know of defects before a birth can only further society. While looking at the posthuman I found the likeness between that of Nietzsche’s work, the New Soviet Man and that of transhumanism to be on the same level, even though transhumanists may disagree, especially when it comes to biotechnology and man’s control of such a domain, with eugenics being a controversial subject to any transhumanist. The transhumanist movement will, I believe, continue as we continue to engineer new ways to interact with information but this shouldn’t be seen as posthumanism. Hayles, as she concludes in How We Became Posthuman writes “The best possible time to contest for what the posthuman means is now, before the trains of thought it embodies have been laid down so firmly it would take dynamite to change them.” (1999, p. 291). Luke Wotton is a digital marketing executive currently working at Opsview.He has a first degree honours in Digital Art & Technology. Feel free to contact Luke through @Wotton or through LinkedIn and to read about his current projects, see his blog. Kant, I. (1784). What is Enlightenment. Available: http://www.columbia.edu/acis/ets/CCREAD/etscc/kant.html. [Online] Last accessed 11th Jan 2013. Kurtz, P & Wilson, E. (1973). Humanist Manifesto II. Available: http://www.americanhumanist.org/Humanism/Humanist_Manifesto_II. [Online] Last accessed 11th Jan 2013. Hassan, I. (1977). Prometheus as a Performer: Toward a Posthumanist Culture?. The Georgia Review. 31 (4), p843. McKibben, B. (2004). The Posthuman Condition. In: McKibben, B Enough: Staying Human in an Engineered Age. Harper’s Magazine. April 2003. Rutsky, R.L. (2007). Mutation, history, and the fantasy in the posthuman. Subject Matters. 3 (1), 107. Hayles, K. (1999). 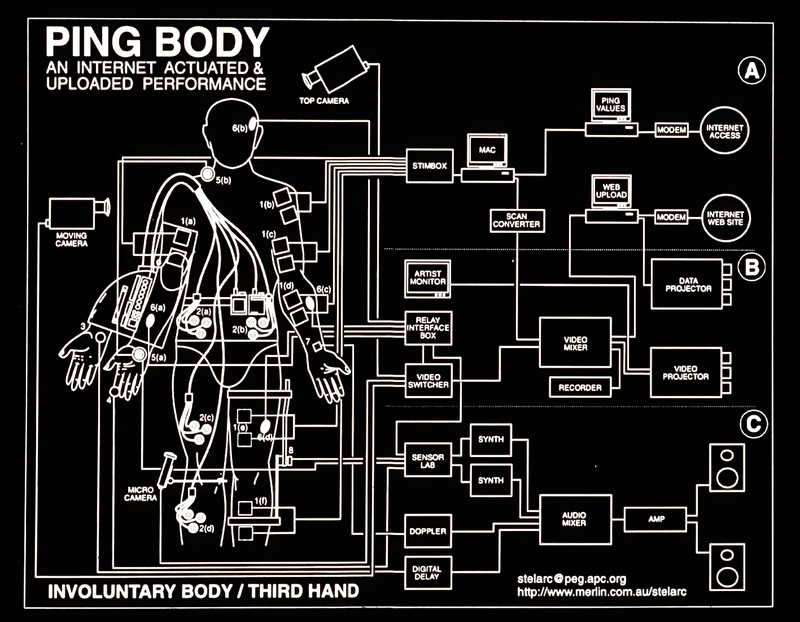 How we became posthuman: virtual bodies in cybernetics, literature, and informatics. London: The University of Chicago Press. Huxley, J. (1957). New Bottles for New Wine. London: Chatto & Windus. Vita-More, N. (2012) Human Tree of Future Human Self through Arts/Science/Technology. [Online] Available: http://www.natasha.cc/transhumantree.htm. Last accessed 11th Jan 2013. Bostrom, N. (2003) The Transhumanist FAQ. Available: http://www.transhumanism.org/resources/FAQv21.pdf Last accessed 11th Jan 2013. Kac, E. (2007). Signs Of Life. Cambridge: The MIT Press. Ensembl.org (2012). Index of homo_sapiens/dna/. [Online] Available: ftp://ftp.ensembl.org/pub/release-70/fasta/homo_sapiens/dna/ Last accessed: 26th Apr 2013. Shenk, D. (1997). Biocapitalism: What Price the Genetic Revolution? Harper’s Magazine. December 1997. Foucault, M. (1978). The History of Sexuality. New York: Pantheon Books. Wolfe, C. (2007). Bioethics and the Posthumanist Imperative. In: E. Kac, ed. 2007. Signs of Life. Cambridge: The MIT Press. pp. 95-114. McGee, G. (2005) The Ethics of Human Cloning: An Overview. In. J. Woodward 2005. The Ethics of Human Cloning. San Diego: Greenhaven Press. Buy, M. (1997) Transgenic Animals. [Online] Available: http://people.ucalgary.ca/~browder/transgenic.html. Last accessed 14th Feb 2013. L. B, Andrews (2007). Art as a Public Policy Medium. In: E. Kac, ed. 2007. Signs of Life. Cambridge: The MIT Press. pp. 125-149. Fukyama, F. (2002). 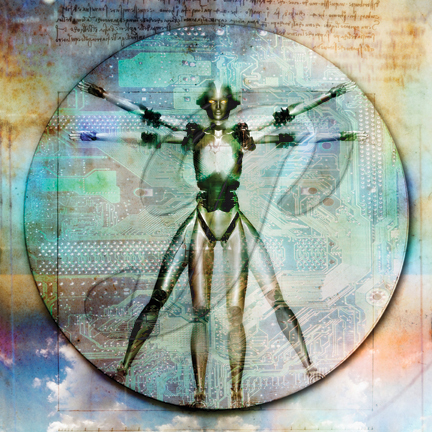 Our Posthuman Future – Consequences of the biotechnology revolution. New York: Farrar, Straus & Giroux. Caplan, A. (1997) Am I My Brother’s Keeper? The Ethical Frontiers of Biomedicine. Indiana: Indiana University Press. Bentham, J (1789) An Introduction to the Principles of Morals and Legislation [Online] Available: http://www.econlib.org/library/Bentham/bnthPML18.html Last accessed 26th April 2013. Elliot, C. (1999) A Philosophical Disease: Bioethics, Culture and Identity. New York: Routledge. Cavalieri, P. (2003) The Animal Question: Why Nonhuman Animals Deserve Human Rights. New York: Oxford University Press. M. Clynes & N. Kline. (1960) Cyborgs and space. Astronautics. September 1960. D, Haraway. 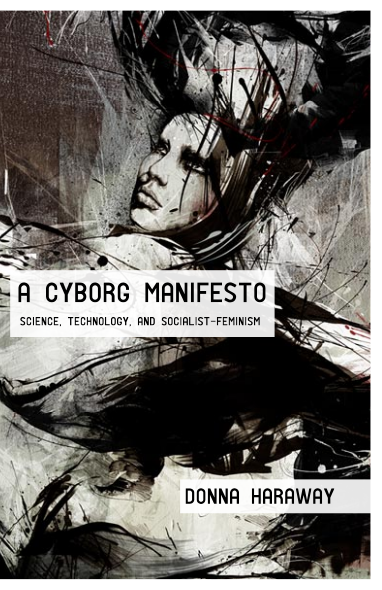 (1991) A Cyborg Manifesto: Science, Technology, and Socialist- Feminism in the Late Twentieth Century. In: N. Badmington ed. 2000 Posthumanism. Basingstoke: Palgrave. N, Wiener. (1961) Cybernetics: Or the Control and Communication in the Animal and the Machine. MIT Press. A, Case. (2011) Cyborg Anthropology. [Online] Available: http://cyborganthropology.com/4th_Wave_Cybernetics Last accessed 15th Feb 2013. H, Foerster. (2003) Understanding Understanding: Essays on Cybernetics and Cognition. New York: Springer. H, Maturana & F, Varela. (1980) Autopoiesis and cognition: the realization of the living. Hingham: Reidel Publishing. C, Macpherson. (1962) The Political Theory of Possessive Individualism: Hobbes to Locke. Oxford: Oxford University Press. PZ, Myers. 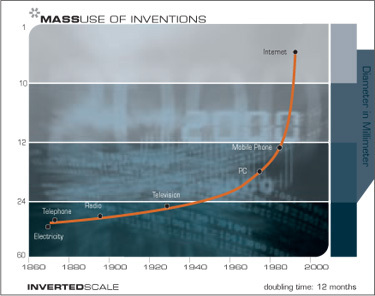 (2010) Ray Kurzweil does not understand the brain. [Online] Available: http://scienceblogs.com/pharyngula/2010/08/17/ray-kurzweil-does-not-understa/ Last accessed 19th March 2013. I.J, Good (1965) Speculations Concerning the First Ultraintelligent Machine. New York: Academic Press Inc.
PZ, Myers (2011) Singultaritarianism? [Online] Available: http://scienceblogs.com/pharyngula/2011/02/13/singularitarianism/. Last accessed 19th March 2013. M, Shermer. (2002) Shermer’s Last Law. [Online] Available: http://www.scientificamerican.com/article.cfm?id=shermers-last-law. Last accessed 21st March 2013. F, Nietzsche. (1885) Thus Spake Zarathustra [pdf] Available at: http://www2.hn.psu.edu/faculty/jmanis/nietsche/tszarath.pdf. Last accessed 23rd Mach 2013. Hannon, M. (2004) The Clarence Darrow Letters [Online] Available at: http://darrow.law.umn.edu/photo.php?pid=862. Last accessed 23rd March 2013. N, Bostrom (2005) A History of Transhumanist Thought [Online] Available at: http://jetpress.org/volume14/bostrom.html. Last accessed 25th March 2013. L, Trotsky. (1924) Literature And Revolution [Online] Available at: http://www.marxists.org/archive/trotsky/1924/lit_revo/ch08.htm. Last accessed 25th March 2013. Hook, C. (2003) Transhumanism and Posthumanism. [pdf] Available at: http://www.gale.cengage.com/pdf/samples/sp657748.pdf. Last accessed 27th March 2013. Somerville, M. (2011) Transhumanism: the dangers of creating Humanity 2.0. [Online] Available at: http://www.mercatornet.com/articles/view/transhumanism_the_dangers_of_creating_ humanity_2.0/. Last accessed 27th March 2013. D, Coole. & S, Frost. (2010) New Materialisms. Ontology, Agency, and Politics. London: Duke University Press. Network. (1976) Sidney Lumet. [DVD] MGM Home Entertainment. Gattaca. (1997) Andrew Niccol. [DVD] Sony Pictures Home Entertainment. I can only fathom that technically “man” is not a biological term, but a functional one. This was contrary to what I thought when I looked up the term of our species definition. Pingback: Do We Need to Redefine the Human Subject?